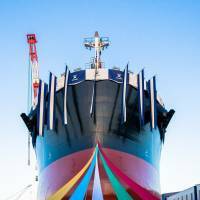 TSUNEISHI SHIPBUILDING Co., Ltd. (HQ：1083 Tsuneishi Numakuma-cho, Fukuyama, Hiroshima, Japan; President: Kenji Kawano), will hold 81,600 bulk carrier launching ceremony, and open to the public at 6:50 on Friday, July 6th, 2018 on No. 1 Building Berth, TSUNEISHI Factory. ※Launching time is subject to change. Please check the detailed information below. 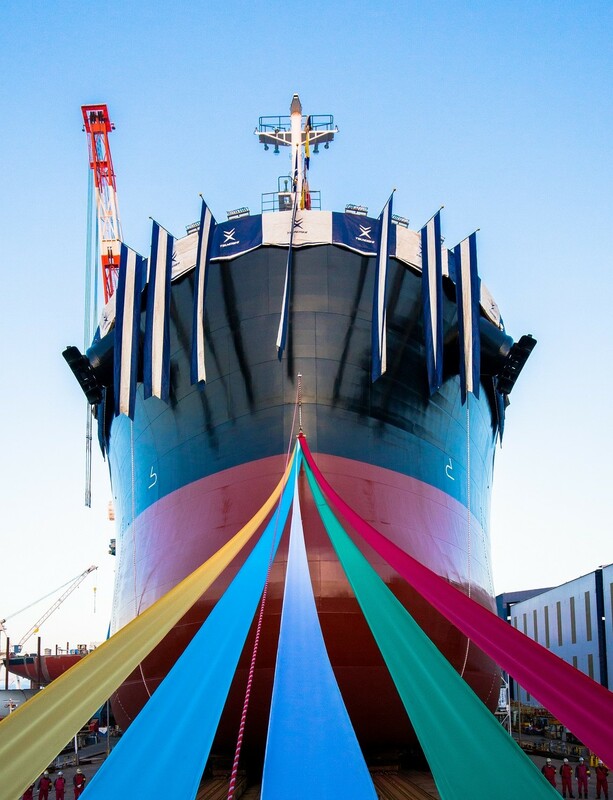 TSUNEISHI SHIPBUILDING holds launching ceremonies and open to the public every two months on the building berth. The ship which will be launched is a KAMSARMAX bulk carrier (D/W 81,600 mt type bulk carrier) which we developed to be one of our major products alongside the TESS series. The name “KAMSARMAX” derives from the ship’s length, which is the maximum possible for entering into the port of Kamsar in Guinea, West Africa. Kamsar is one of the world’s principal ports for bauxite. The launching ceremony takes about 20 minutes. We hope that you will take this opportunity to watch the excitement of the launch of our ships, which are built by bringing together the best of the shipbuilding technologies that TSUNEISHI SHIPBUILDING has.